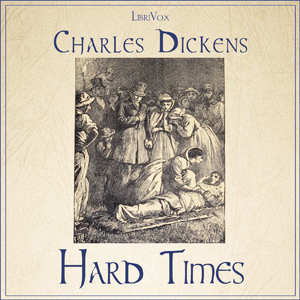 Hard Times, the shortest of Dickens's full-length novels, is set in the fictitious Victorian-England city of Coketown, where facts are the rule and all fancy is to be stamped out. The plot centers around the men and women of the town, some of whom are beaten down by the city's utilitarian ideals and some of whom manage to rise above it. The novel was written in 1854 and was a scathing attack on then-current ideas of utilitarianism, which Dickens viewed as a selfish and at times oppressive philosophy. Perhaps the novel's best features are its clever, ironic narration and the larger-than-life characters that push the plot forward, such as the upper-class banker and hypocritical braggart, Josiah Bounderby, and the fact-driven schoolmaster, Thomas Gradgrind. (Summary by Rosalind Wills).